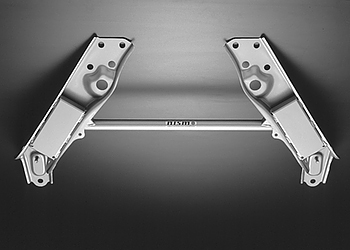 The NISMO Power Brace System 2 provides increased strength & rigidity to the vehicle chassis by using a tension rod bracket at both left & right sides with a bar as a joint. This Nismo product is shipped directly from the Japan Nismo factory. Box reinforcement of the tension rod bracket has resulted in a system combining the left and right brackets and bar. It provides greater chassis and steering rigidity and improves steering response, creating more stable driving conditions and preventing the change of alignment that can come from lack of rigidity in high-load situations such as circuit racing. There are no protrusions to the lower, so ground clearance is unchanged (genuine under-cover can be used as is as well). The tension rod bracket which forms the base for reinforcement is the same as the genuine part, so installation points are unchanged. 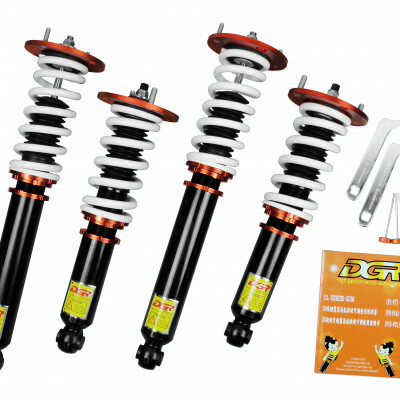 It can be used with NISMO tension rods, or the pillow-type tension rods of other manufacturers as well (for maximum effectiveness, use together with the NISMO suspension link set series).